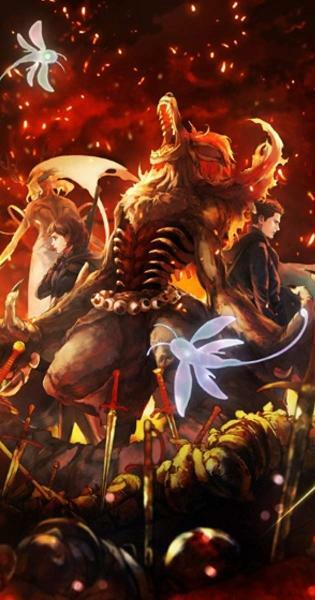 Series premiered on April 7, 2019. Based on the title, I had assumed this show would be a silly comedy about whimsical creatures, but nothing could have been farther from the truth. While there are some elements of fairy lore, these beings behave more like demons than fairies. As we are introduced to the concept of 'fairy soldiers' I was immediately reminded (and not in a good way) of the anime a couple years ago that was set during WWI but included soldiers with magical powers who made mincemeat of conventional ones. The premise of this show never drew much interest from me and I quickly became bored. Perhaps that was because, as is often the case, the principal characters don't get much of an introduction and as a result I can't feel much concern over how they fare. Mariya's personality, for example, seems to consist of the fact that her home village was once burned down by bad guys, therefore she must be a good girl. Maybe the reason I couldn't get into this show was because I didn't sense much originality in it. Other than the fairies (which seem more odd and implausible than intriguing) this show was pretty stereotypical. The rich and powerful shamelessly exploiting the poor, a heroine who discovers she has a supernatural talent, a secret government crime fighting unit--etc. I knew that neither Free nor Veronica would get killed or seriously injured as they dueled, since all the signs were that both would be good guys working for different factions. Also typical, the show attempts to 'wow' us with magic (in this case the magic of fairies), even though shows with magic are dime-a-dozen nowadays. A good guideline would be: First, write a story that would be interesting even without magic or fairies, then, once that is done, you can add supernatural stuff. I struggled through one episode even though my interest quickly evaporated, and see no reason to watch another. Last updated Thursday, April 11 2019. Created Thursday, April 11 2019.